Page last updated at 11:01 GMT, Saturday, 29 May 2010 12:01 UK. The world’s leading supplier of the anti-diabetes drug insulin is withdrawing a state-of-the-art medication from Greece. Novo Nordisk, a Danish company, objects to a government decree ordering a 25% price cut in all medicines. A campaign group has condemned the move as “brutal capitalist blackmail”. More than 50,000 Greeks with diabetes use Novo Nordisk’s product, which is injected via an easy-to-use fountain pen-like device. A spokesman for the Danish pharmaceutical company said it was withdrawing the product from the Greek market because the price cut would force its business in Greece to run at a loss. The company was also concerned that the compulsory 25% reduction would have a knock-on effect because other countries use Greece as a key reference point for setting drug prices. Greece wants to slash its enormous medical bill as part of its effort to reduce the country’s crippling debt. International pharmaceutical companies are owed billions in unpaid bills. Novo Nordisk claims it is owed $36m (£24.9m) dollars by the Greek state. Pavlos Panayotacos, whose 10-year-old daughter Nephele has diabetes, has written to Novo Nordisk’s chairman to criticise the move. “As an economist I realise the importance of making a profit, but healthcare is more than just the bottom line,” he wrote. The Greek diabetes association was more robust, describing the Danes’ actions as “brutal blackmail” and “a violation of corporate social responsibility”. The Danish chairman, Lars Sorensen, wrote to Mr Panayotacos stressing that it was “the irresponsible management of finances by the Greek government which puts both you and our company in this difficult position”. 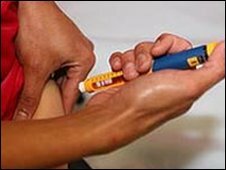 People with diabetes in Greece have warned that some could die as a result of this action. But a spokesman for Novo Nordisk said this issue was not about killing people. By way of compensation, he said the company would make available an insulin product called glucagen, free of charge. Editor’s Note: Will this happen in the United States under ObamaCare? Will government price fixing ruin the best health care system in the world? The McAllen Independent School District recently switched insurance consultants after a lengthy seven month Request for Qualifications process. The Board initiall decided to terminate their contract with a McAllen based consultant in favor of a San Antonio based consulting firm. But, that decision was subsequently overruled and instead a Houston firm was appointed the Consultant of Record. Within three weeks of hire, the new consulting firm put the district out to bid for their self-funded health plan, giving vendors three weeks in which to respond. A seasoned investigative reporter, Molly Mulebrier, predicts that the McAllen ISD will change insurance vendors. HealthSmart, the current third party administrator/PPO network provider, is in jeopardy of losing the business. This comes following the loss of Brownsville ISD, Los Fresnos ISD, San Benito ISD, PSJA ISD and Edcouch Elsa ISD. When asked who the victor will be in this bid process, Mulebrier said that Blue Cross Blue Shield is the horse to bet on this time. Local politics will play a heavy role, with area medical providers vying for advantage. Alonzo Cantu will be the king maker, predicts Mulebrier. With superior market share in Hidalgo County, Blue Cross has the political advantage. HEB will also make a strong run as PBM and will be very competitive. Molly Mulbrie’s predicions: Blue Cross for health, HEB for PBM, Highmark for stop loss. Elrods Supermarket in Texas touts their Cost Plus 12% pricing model – in fact they call their chain of stores Elrods Cost Plus 12. We think Elrod is on to something here. On Friday, I reviewed initial (i.e., first three months) claims data from Integrity Health’s and WeCare’s Partnership Health Care for the School District in Tom’s River, NJ. Here are some general observations. I compared total paid claims for November-Jan 2008-09 and 2009-10. I excluded claims greater than $10,000, because it is unlikely that the clinic had any impact on these shock losses, especially during its first three months of operations. Nor does this part of the analysis consider drug costs. I am still working on those. In November-January 2008-09, total claims <$10,000 for an average of 2,195 employees (or 5,648 covered lives) equaled $5.116 million, or $2,330.60 per employee ($9,322.38 per employee per year (PEPY)). Factor in a 6% health care inflation rate for 2009 (per the KFF/HRET Survey of Employer Health Benefits, 9/2009), and we would expect the present value of the 2008-09 PEPY cost to rise to $9,881.72. In November-January 2009-10, total claims <$10,000 for an average of 2,223 employees (or 5,720 covered lives) equaled $4.404 million, or $1,981.17 per employee ($7,924.70 PEPY). In other words, the annualized average cost per employee, not including drugs, has dropped by $1,957 or 19.8%. At the current number of employees, this impact can reasonably be expected to translate into annualized savings of $4.35 million. In the first 3 months of clinic operations, the PEPM operational cost + management fee averaged $69.24, or, annualized, about $1.85 million. This projects an estimated first year net savings of $2.5 million ($1,125/employee) due to the clinic. It also projects a return on investment of 2.35:1, not including Rx impact. We’ll do more targeted analysis to determine which cost areas were impacted most, but this overview provides the most salient information for clinic prospects, which is significant bottom line savings. I have been giving these industry and market report/forecasts for 30 years. Most have predicted things that seemed unbelievable at the time. However, the accuracy rate of coming true has been over 90%. This is being written when the shock of the Obama health reform bill has not worn off, and we are only at the start of about a dozen more years of regulatory decisions and implementation. However, that uncertainty does not impact my forecasts here. This is a time of change for TPA firms and for the whole process of health employee benefits. However, our business has always been in evolution. For example, when I wrote the first of these SPBA reports in 1980, the TPA market was 99% defined-benefit pension plans for Taft-Hartley collective bargaining plans. Soon, the unionized percentage of the US workforce dropped in half, and government policies inadvertently (but not without warning from those of us in the pension community) cut defined-benefit pension plans to a sliver of the market. So, doomsayers of today should recognize that conventional wisdom over the years has forecast SPBA and TPAs’ demise a dozen times. So, just like a TPA of 1980 would be amazed at the range of services, and types of plans and clients of TPAs of today, TPAs in just a coupe of years will have many new roles and services. I am very upbeat about the prospects for our industry and our Stop-Loss Service Partners. It sounds corny, but Franklin Roosevelt described our current situation best, “We have nothing to fear but fear itself.” Even if the worst-case scenarios of a government takeover and universal coverage comes, TPAs will be busy, because the whole environment of health and employer needs and priorities will change. For the sake of example, let me explore the worst-case scenario with you. Fourteen major countries have sent official government delegations to meet with SPBA to learn more about the US health coverage and employee benefits system and self-funding. Each of these countries has a government universal coverage system, and each one has candidly confessed that their government systems are not sustainable. They say, “We need to be more like you.” Also, SPBA has good relations with the TPA Association of Canada. Most US TPAs wondered how TPAs could exist in the government-run Canadian health system, and what was left to do. The Canadian TPAs spoke at SPBA meetings and explained that they have a very active market and services to sell. Meanwhile, I started hearing a year ago that several health insurance companies were looking around the world for possible new markets in case the US private health insurance market disappeared or became unprofitable. The insurers found that markets in several countries in Asia and Europe (with universal coverage) were eager for private health coverage options. there will be a demand for private health coverage and services. Within 5 years, there will be a major shift on the health scene: Doctor Shortage. Today, the concern has been people who do not have health coverage. However, we are on the verge of a major doctor shortage due to retirements, exasperation, and fewer new doctors. This also coincides with the start of the baby-boom moving onto the unprofitable (for health providers) Medicare rolls, and millions more people added to the unprofitable Medicaid rolls caused by Obama health reform. So, Americans will soon have that helpless feeling like when you have an airline ticket (health coverage), but most of the flights (doctors) have been cancelled or are fully-booked. Also, new bureaucracies, rules, oversight, “efficiencies” and cost-cutting will cause longer and longer delays to get medical care. Among doctors who remain, more and more and clinics will become “boutique” (many terms are used) practices that do not participate in government programs and do not accept insurance assignment. This new scenario of doctor shortage is already starting, so you need to include it in your strategic thinking. Health reform and increasing government nit-picking will probably make the US health fully-insured market unprofitable for insurers. I predict that they will (at the urging of their investors and stockholders) step away from the US fully-insured marketplace, and replace their US market with the new markets they researched last year in Asia and Europe (described above). This does not mean that insurance companies will disappear from the US scene. The majority of their business is already a form of self-funded, so I predict that the insurers will either re-label themselves as TPAs (just as many suddenly relabeled themselves “managed care” companies several years ago)and/or they will enhance their already-large collection of TPA firms. The ill-will from government and media has been so intense that insurers, could, quite understandably, not want to be visible players under their insurer name, because governments will tend to impose “insurer” requirements on any entity using an insurance company name. Will employers gladly throw off the burden of offering health coverage for their workers?? No. There has been bravado huffing and puffing about doing so for 35 years (since ERISA was being passed and considered the death knell to employee benefits because of the new strict employer fiduciary responsibility, and later because of COBRA and constant new mandates). However, the real issue is that important employers need employee benefits to recruit and retain top-notch workersand the side effects of Obama health reform and the change in the doctor/health market will make health-related programs and services even more important for the smooth functioning of the employer. So, employers who back away from health-related benefits are being self-destructive. What do I mean by the impact on the smooth functioning of the employer? Today, if a worker has an ailment or hurts himself, he can probably see a doctor in a day or two, get a treatment, and be back on the job quickly. However, what if it takes a couple of weeks for the first appointment, and then another couple of weeks for each specialist just in order to get a diagnosis? I have a friend in Canada who has a key skill at his job. It has taken about 18 months off work to get the tests and diagnosis that would take a week or two here. Receiving actual treatment has also been progressing at that slow rate. The off-work time has been devastating to the employee’s income, and thus a drag on morale at the company, and his long off-work time has severely hampered the work of the employer. So, the shortage of doctors and delays will mean that the new priority of employers will be to have whatever programs help keep workers on the job. These new priority services will range from having their own or a parallel health coverage plan for their workers, to the whole very wide range of wellness and health promotion programs and services, to perhaps private clinics. Employers will realize that personnel will need the kind of prompt careful maintenance and repair that precision machines need to keep them working. TPAs are perfectly positioned to implement and administer the kind of highly-personalized types of services each employer will want and need for its workforce. A consistent and proven message in my report/forecasts in recent years is that TPAs control their own fate and future profitability. The TPAs who remain in a 1990s mindset and services mode will just bump along, and be vulnerable to fading away at any time. Also, TPAs who do not proactively get up to speed and offer the new types of services to their clients are going to find those clients wooed away by insurers (90% of whom report that they are already creating these new services), or lured by other TPAs, or by the hundreds of new consulting and compliance firms and services that will pop up to try to dazzle your clients with their health reform compliance solutions. Note: The consulting and one-service firms don’t offer the ongoing comprehensive services SPBA TPAs provideand the new reporting and complexity and delicate data-collection means an employer is taking a risk to split up his sources of services because things can fall through the cracks. We often hear that employers are not interested in proposals from TPAs to become the new claims processor. However, instead, if you have the new services to help in the changed environment and serve the new needs and priorities and to streamline and secure the onerous new data collection and paperwork, you will have an attentive ear, because that is a current and evolving need employers and plans have. Employers have a set of immediate action items to comply with newly promulgated federal health reform laws. How employers implement those changes will determine whether health coverage costs remain steady after health reform exigencies are met. The Patient Protection and Affordable Care Act (Pub L. 111-148) and the Health Care and Education Reconciliation Act (Pub. L. 111-152) contain health insurance changes that very likely will increase the cost of providing health coverage. However, some of these increases can be tempered by changes in plan design and other measures, he notes. Since some reform provisions go into effect in 2010, employers should not delay thinking about these issues. HHS is drafting regulations and guidance to clarify requirements; meanwhile, employers can expect to be under tight deadlines to finalize plan designs, update enrollment forms and complete modified enrollment processes before the end of 2010. One such rule clarification — details on how plans and insurers must admit newly qualified dependent children up to age 26 — has been issued as interim final rules published in the May 13 Federal Register (75 FR 27122). These do not offer much promise for cost savings. Plans and insurers also won’t be allowed to deny coverage to a dependent child under 26 based on eligibility for other coverage — although grandfathered group health plans will retain that right until 2014 (see below for details). And moves to pin the costs of extending dependent care coverage on workers by increasing worker contributions was expressly addressed in the May 13 rule. “[A]ny difference in benefits or cost-sharing requirements constitutes a different benefit package,” the rule states, using language that reads like such a move could jeopardize grandfather status. In spite of that, there are some strategies be best for making the most of a potentially costly reform situation. Don’t implement changes that may jeopardize your plan’s grandfather’ status. Plans that were in existence on March 23, 2010 are considered “grandfathered” and exempt from implementing certain reform requirements. HHS has begun drafting rules on grandfathered plans, and the question on all employers’ lips is: What changes to the plan or coverage, if any, will compromise grandfathered status? “Implementing changes and controlling costs will challenge a plan that does not want to lose its grandfathering [status],” warns attorney Alexander Clark, Fulbright & Jaworski, Dallas. The law provides no guidance on how a grandfathered plan may lose its grandfathered status. However, HHS is expected to issue guidance on grandfathered plans (including how to lose the status) this summer, so “grandfathered” plan sponsors should hold off on the following changes until it’s clear that these changes will not threaten a plan’s grandfather status. Changing third-party administrators or insurers. Vast changes in plan design. Imposing higher employee cost-sharing to cover a reform mandate (for example, new dependents who must be allowed to join under reform). New employees (and their families) who join a plan and family members of current employees who join for the first time will not impact grandfather status, under the legislation. Take advantage of the retiree health subsidy. The law creates a temporary reinsurance program to reimburse employer-sponsored health plans up to 80% of early retirees’ (ages 55 through 64) health care costs between $15,000 and $90,000. But the government has only funded $5 billion for this program, so if you quality for it, file your application quickly. “This money will go fast,” warns Dean Hatfield with Sibson Consulting in New York. The program is to be established by the government no later than June 23, 2010. Interim final rules were published May 5, 2010; comments on the rules are due June 4. To learn more about the subsidy, view the rules and obtain instructions for filing comments on them, go to http://edocket.access.gpo.gov/2010/pdf/2010-10658.pdf. Remove ineligible individuals from the plan before the rescission prohibition becomes effective. The law bars employers from rescinding health insurance coverage for any reason other than fraud or intentional misrepresentation as of Sept. 23, 2010. If the plan has ineligible dependants on its roster, it will be easier to remove them before that date, suggests Brennan Clipp, senior VP for sales at HRAdvance, Dallas, a company that helps employers deal with the eligibility process. You should review and update your list of eligibles accordingly. PPACA prohibits lifetime and annual limits on the dollar value of “essential” health benefits as of Oct. 1, 2010 (Jan. 1, 2011 for calendar year plans), although HHS will publish a rule allowing some restrictions on annual limits. One way to reduce costs is to reduce or even eliminate some non-essential benefits currently offered, suggests Clark. “It’s hard to take away benefits, but now is the time to think about it,” suggests Hatfield. Revisit your stop-loss insurance policy. Since some of the provisions in the health reform law, such as the prohibition on annual and lifetime limits, can potentially increase an employer’s exposure, it’s more important than ever to make sure that your stop loss coverage is adequate. Employers with stop loss insurance coverage may need to change their stop loss coverage amounts, says Hatfield. For years employers have relied on secretive PPO hospital contracts for promised discounts on health care costs. Yet employers have faced annual cost increases every year. “Trend” (medical inflation) has been touted by the insurance industry as the main culprit for ever rising costs. One wonders, to what extent have hospitals been passing on annual operating costs increases to their patients in order to remain profitable? We suppose that hospital executives know what their costs are, and they charge patients accordingly by adding a profit margin to their costs. That is how capitalism works. The Cost-Plus financing method is really what hospitals are doing already. The difference is that hospitals can arbitrarily inflate their charges behind the curtain of secretive PPO contracts. We have found that hospitals routinely charge cost-plus 400-500% or more. We can understand why hospitals dont want to step from behind the curtain. Consumers would be outraged if they knew. PPO Hospital Contracts may be viewed as Contracts of Adhesion. Market driven Cost-Plus financing takes a different approach – transparency. Both the consumer and the hospital benefits. The consumer is guaranteed a fair and reasonable rate, while the hospital is guaranteed a 12% profit margin. If real estate brokers get 6%, general building contractors 25%, health insurance agents 5%, attorney contingencie fees are 33%, why would hospitals object to the public knowing that they get 12%. Is that because they are now getting 500% or more? Hospitals scream that they lose money on Medicare and Medicaid and have to make up the loss elsewhere. The fact of the matter is that the majority of hospitals profit from these government programs. Just look at their financials. Cost-Plus is a market driven product and will earn it’s market share. Editor’s Note: Insurance companies,PPO networks and hospitals should be careful in their reported efforts to band together to boycott, coerce and intimidate. Under law, it is generally understood that no one may commit, or agree to commit in concert with others, any act of boycott, coercion, or intimidation resulting in or tending to result in a monopoly or an unreasonable restraint of trade in the business of health care. Cost Plus health plans are catching on in Texas. Brokers in key geographic areas are advising their clients to consider this innovative approach to reigning in their health care costs. Some brokers are jumping on the cost plus bandwagon because they see the results and believe in them, while others do so as a matter of survival. Carriers seem worried. Carrier representatives, on the verge of irrational behaviour in fighing the cost-plus approach, are worried that some of their biggest broker producers are begining to embrace the cost[plus method of health care finance, many with rare enthusiam. Key Stop Loss Carriers are joining the cost-plus avalanch with several major A+ stop loss markets actively recommending the scheme to their clients. Forbes BusinessWire reported that Bill Miller Bar-B-Q, a San Antonio-based restaurant chain, terminated its PPO program in August, 2008, and restructured its group health insurance program by partnering with area medical providers. Under its new program, medical care providers are reimbursed on a cost-plus basis. This program starts at cost and adds a margin rather than relying on PPO networks and insurance companies who historically pay based on a phantom original bill which is then discounted. As of May, 2009, when this story was first reported, Bill Miller Bar-B-Q’s benefits consultant attested that the company would have spent as much as 40% or more for the same benefits had they remained on a traditional PPO program. In a lenghy school board meeting yesterday, the Board of Trustees voted to table action on the administration’s recommendation to renew the school’s insurance consultant contract with Alamo Insurance Group. The BISD went out for a Request for Qualification for Insurance Consultant. Several proposals were received as a result of this process. The current consultant, Alamo Insurance Group is currently paid more than $40,000 per year. Board Member Escobedo voiced concerns that due to an on-going audit of the self funded health insurance program which was recommended by their current consultant, he felt uncomfortable to awarding/renewing the Alamo contract until the results of the audit were known. Board member Garcia concurred. Board member Zayas expressed concern that there was little or no backup in his Board Packet related to the administration’s recommendation. Zayas asked about the status of the proposal from Valley Risk Consulting of McAllen, Texas. A motion was made and approved to table this action item. The BISD late last night rejected the administration’s recommendation to award the Student Accident Insurance Program to Alamo Insurance Group of San Antonio and instead awarded the contract to the lowest bidder, The Brokerage Store. Editor’s Note: This is refreshing to this Brownsville ISD taxpayer. Denis Bartz thought his business dodged a bullet late last year when its health insurer pulled out of the market. UniCare Inc. advised him and 180,000 other policyholders to sign up with Blue Cross & Blue Shield of Illinois, which offered comparable rates and benefits.Relief turned to dismay when Blue Cross hit him with a 30% rate increase effective May 1, tacking $11,000 onto annual health care costs for seven employees of his Oak Lawn dental practice. “It was alarming,” Dr. Bartz says. Several local brokers say his increase was typical of small groups UniCare handed off to the region’s largest health insurer. Local hospital execs were grumbling, too. Blue Cross’ lower payment rates for medical services will cost some hospitals as much as $2 million when patients switch over, one consultant estimates. Denis Bartz’s switch to Blue Cross from UniCare has been an expensive one: The cost to cover health care for seven employees at his Oak Lawn dental practice has risen by 30%. UniCare’s retreat from Chicago shows how Blue Cross’ expanding market power affects workers, employers and medical providers. With little pressure from competitors and scant regulatory oversight, Blue Cross has broad freedom to raise premiums and freeze out hospitals. No other insurer dominates a big metropolitan market the way Blue Cross does Chicago, where it controls two-thirds of the private health insurance market, according to a report released in February by the American Medical Assn. As its marketshare grows, so does its influence over the cost and availability of health care in the Chicago area. The reforms Congress enacted could further strengthen Blue Cross of Illinois’ hand. It’s well-positioned to win the bulk of the hundreds of thousands of Illinois residents who will qualify for federal help to buy policies in the individual market, where Blue Cross is especially strong. More small players could fold if they have trouble meeting new requirements aimed at paring insurers’ costs. The Blues’ expanding muscle squeezes the bottom lines of medical providers, especially hospitals, many of which have little leverage to negotiate with an entity that often insures more than a quarter of a hospital’s patients. That makes it tough for smaller insurers such as UniCare, which lack the heft to negotiate Blues-like payment rates for doctors and hospitals.”It became very difficult to compete with those plans that have an economy of scale and can offer more competitive rates on their products,” a UniCare spokesman says. More casualties would leave fewer options for employers, a climate ripe for premium increases, experts say. “The exit of another carrier could lead to higher premiums, fewer options for employer groups and less clout for providers,” says Roy Moore, an analyst who studies the Illinois insurance market for HealthLeaders-InterStudy, a Tennessee-based research firm. Illinois’ Blue Cross plan, owned by Chicago-based Health Care Service Corp., which also owns Blues plans in Texas, Oklahoma and New Mexico, enjoys entrenched advantages over competitors. Its network includes most of the Chicago area’s physicians and all of its roughly 100 hospitals — none can afford to be left out. That leaves most hospitals, especially smaller, independent ones, with little bargaining power. Blue Cross typically reimburses hospitals at rates about 10% to 25% below those of the market’s other sizable insurers, according to hospitals and industry insiders. “Every patient that goes to the Blues from another carrier is a direct hit to our net revenue and income,” says an executive at one of the city’s big hospitals. Like many hospital execs interviewed for this story, he requested anonymity to avoid antagonizing Blue Cross. Yet it’s not clear that Blue Cross’ big cost advantage translates into lower premiums. The state doesn’t require insurers to publicly disclose premiums on group policies sold through employers. Premiums for group policies vary based on demographics and other factors. Average annual premiums for all insurers in metropolitan Chicago are slightly higher than in other large cities, federal data show. Individuals paid $4,524 in 2008, 3% more than the average of the 20 largest U.S. markets. Family plans went for $12,614, 1% more than the average. Local brokers say Blue Cross’ prices usually are competitive, but often not the lowest. Still, employers often are willing to spend more for Blue Cross because of its broad network of doctors and hospitals and a reputation for reliable customer service, says Brian Diedrich, a senior managing director and broker at Chicago-based Mesirow Financial Holdings Inc. The insurer benefits from a potent brand polished by ubiquitous local advertising and a No. 1 ranking in J. D. Power & Associates’ most recent survey of customer satisfaction with Chicago-area health insurers. Blue Cross’ sharp elbows on hospital prices benefit employers, business groups say. Most big companies are “self-insured”: They cover employees’ health care costs but pay a fee for access to an insurer’s network of doctors and hospitals. Blue Cross generally can offer employers the deepest discounts on hospital services. Recently Blue Cross, led by new CEO Karen Atwood, has signaled a willingness to use its girth to help hold down health care costs. Last year it enrolled 20,000 patients in a pilot program to better coordinate care between primary care doctors and specialists. Soujanya Pulluru, a family practitioner in Naperville, says her asthma patients enrolled in the pilot were given monitoring devices to track their symptoms. “It’s decreasing costs because all these patients with shortness of breath aren’t freaking out and going to the emergency room,” she says. Blue Cross also has spent more than $50 million since 2005 on incentive payments to physicians at Advocate Health Care, the state’s largest hospital system, for improving the management of patients with heart disease and other chronic illnesses. Still, experts say having a major insurer throw its weight around with providers can be a double-edged sword if other carriers are driven out because they can’t compete on cost. Local Blue Cross not shy about yanking coverageBlue Cross & Blue Shield of Illinois appears to be an aggressive practitioner of “rescission,” or canceling health insurance after policyholders become sick and need medical services. Illinois had 5,279 policy rescissions from 2004 to 2008, more than any other state, according to a survey released in December by the National Assn. of Insurance Commissioners. The report did not name the insurers, but Blue Cross was the state’s dominant carrier during that period and rescinded at least 1,000 policies a year through a subsidiary, Hallmark Services Corp. in Naperville, according to a person familiar with the operation. Many of the policy cancellations rooted out legitimate fraud. But sometimes policies would be canceled based on “technicalities,” such as when applicants inadvertently left out details of their medical histories on enrollment forms, the person says. The office also handled rescissions for New Mexico’s Blues plan, which controls more than half of that state’s market. Like the Illinois plan, it’s owned by Chicago-based Health Care Service Corp.
Insurers in New Mexico canceled policies at a rate six times the national average, making it the only state with a higher rescission rate than Illinois. Health insurers sometimes retroactively nix policies if they determine a member didn’t properly fill out the enrollment application — neglecting to mention a pre-existing condition, for example. The practice drew scorn in Congress during the push for health reform and will be banned starting Sept. 23 under the new law, except for cases in which applicants knowingly lied on their enrollment forms. Even though the new laws forbidding the practice kick in this fall, UnitedHealth Group Inc., Aetna Inc. and other major insurers also have said recently that they’ll comply with the rule ahead of time, following pressure from congressional Democrats. “Employers do benefit from a dominant insurer driving down premiums by paying providers less, but there’s only so much water you can squeeze from that rock,” says Leemore Dafny, a Northwestern University health care economist. “If other insurers feel like they can’t get reasonable provider discounts to compete with Blue Cross, you could see more of them exit the market.”Some employers who insure their own workers and use Blue Cross’ network complain that it’s tough to tell just how deep a discount they’re getting. Most insurers negotiate a discount off a hospital’s “sticker price” for services and pay claims based on that discounted price. But Blue Cross applies an average discount price for the hospital the employee uses. Because employers don’t see the discounts applied on a claim-by-claim basis, some wonder if the insurer is passing along the full discount. Michigan’s Blue Cross plan faces a class-action lawsuit from employers who claim they’re not receiving the full discount under the Blues network. Blue Cross of Illinois says it monitors the system to “ensure customers get the full value of negotiated discounts.” Also, the process is externally audited each year and vetted by state insurance regulators. Many hospitals also say the way Blue Cross pays them for services is short on transparency. When most insurers negotiate discounts on hospitals’ sticker prices, they apply that rate when paying a claim. For example, an insurer might negotiate 50% off the hospital’s full charge of $2,000 for a colonoscopy, paying the hospital $1,000 when the claim comes in. Blue Cross, however, makes a weekly bulk payment to hospitals, based on an estimate of what those claims will be, at the full sticker price. After processing the actual claims weeks later, it applies the discounts and takes money back from the hospital. Some cash-strapped hospitals like the system because it can provide tens of millions of dollars in upfront cash flow. But others say it’s an administrative headache that obscures how the claims are paid. “It’s extremely difficult to determine whether you’re actually getting paid what you should be,” an industry executive says. Critics say the Blues use the payment system as a weapon against hospitals during disputes. In recent years, Blue Cross cut off reimbursement payments to hospitals that terminated their contracts with the insurer, claiming they owed it millions of dollars fronted to them for future claims. It used the tactic in contract battles with Condell Medical Center in 2007 and Rush University Medical Center a year earlier. Blue Cross says it has a fiduciary responsibility to collect that money if a hospital terminates its contract. The goal of the payment system, in place for almost 50 years, is to provide “prompt and predictable payments to hospitals.” It acknowledges that it “may require some extra bookkeeping” but says it amounts to an interest-free loan of $2 billion in aggregate to Illinois hospitals. Industry executives point to the Condell skirmish as the prime example of why it’s so hard to take on the Blues. The Libertyville hospital became the only local facility in recent years to leave the insurer’s main provider network; it terminated its contract when Blue Cross rejected a request for a rate increase of more than 30%. A nearly 20% plunge in Condell’s patient volume, and the refusal of Blue Cross to pay current claims, swung Condell from a $6-million operating profit to an $18-million loss over one year, according to a person familiar with the situation. Advocate acquired Condell in 2008 and mended fences with Blue Cross. Health Care Service was a struggling non-profit quasi-charity in 1982 when it switched to its current structure as a mutual reserve company, owned by its policyholders. That move freed it from state regulation of its insurance premiums. It also coincided with the industry’s shift toward more-flexible benefit plans like preferred provider organizations, which favored the Blues’ already-wide network of hospitals and physicians. That advantage, combined with big investments in improving customer service, attracted big accounts like Ameritech, the city of Chicago and Cook County, and dozens of unions. Growth accelerated in the mid-1990s with the formation of a nationwide affiliation among Blue Cross plans, allowing the Illinois plan to land national employers such as Wal-Mart Stores Inc. Along the way, Blue Cross’ growing ability to check hospital prices has provided “a key advantage relative to many of its competitors,” Fitch Ratings said in a March report. Health Care Service has been the nation’s fastest-growing and most-profitable big health insurer for the last several years. With 12.4 million customers, its membership growth rate was best among the 10 largest insurers from 2004 to 2008, the latest data available, according to Moody’s Investors Service Inc. The company has the highest financial rating among 78 health insurers tracked by A. M. Best Co., a New Jersey-based insurance-rating firm. Its $6.5 billion in capital reserves gives it the industry’s largest cushion with which to pay claims. Its average net profit margin of 6.7% from 2005 to 2008 was best among the 10 largest insurers, according to Moody’s data. It spent an average of 82.2% of revenue on medical claims over that stretch, about average for the group. It posted $17.3 billion in premium revenue and $514 million in profit last year, down 31% from 2008, and roughly half of the more than $1 billion in income it reaped annually from 2004 to 2006. Higher medical costs, smaller gains on its investment portfolio and “some limited competitive pricing decisions” pressured earnings last year, Moody’s says. The corporate parent has rewarded its executives with pay packages that often eclipse compensation at larger, for-profit health insurers. Former CEO Ray McCaskey, for example, was paid a combined $36 million over the past three years. Current CEO Patricia Hemingway Hall made $8.7 million in 2009, her first year. Still, she had several UniCare patients who switched to Blue Cross HMO, which pays lower rates. And she’s concerned that Blue Cross’ growing marketshare could allow the insurer to lower its payment rates to physicians. Editor’s Note: Are 100% of PPO discounts passed on the to consumer? If not, where do some of the discount dollars go? Lawyers for Ted Parker company’s ask a judge to dismiss the City of Lubbock’s lawsuit to audit past health plan records. The city filed the complaint more than two years ago. It involves Covenant Health Systems and the Ted Parker Group PPO Healthsmart Preferred Care. In its 2003 contract with the city Healthsmart promised better discounts than the city’s previous provider. Healthsmart and Covenant then entered into an agreement that set up a process for the city to verify the promised discounts. Shortly after the city parted ways with the Parker Group. Covenant refused to hand over documents for an audit citing concerns about the potential for violating federal patient privacy laws. Healthsmart adding its concerns about disclosure of competitive business information. In January of 2008 the city filed a complaint asking Amarillo federal Judge Mary Lou Robinson to rule on the dispute. But four months later the litigation was suspended after FBI agents carried away dozens of boxes of records in a search warrant for city documents concerning its health insurance benefits contracts. Filings in related litigation pending in other courts indicate the FBI investigation is continuing. On Wednesday Healthsmart’s lawyers filed a motion to dismiss the city’s civil suit that’s still pending in Amarillo federal court. Healthsmart’s lawyers suggest that this document disclosure dispute should instead be addressed in arbitration already underway with the city over related contractual disputes. The Obama administration has urged a court to reject an attempt to block a controversial new law overhauling the U.S. healthcare system, saying it is constitutional and any challenge is premature. The reforms, a top priority of President Barack Obama, were approved by Congress in March after a fierce national debate. The Justice Department defended their legality late Tuesday in the first response to a number of court challenges. A conservative public interest group, the Thomas More Law Center, had filed a lawsuit in Michigan on March 23, the day Obama signed the law, and asked the court for an injunction to block it from taking effect. The group said a provision requiring most Americans to buy health insurance under threat of financial penalty was beyond the scope of Congress’ power and was an unconstitutional tax. The group also said it violated their constitutional rights because federal tax dollars would be used to fund abortions. Defending the law, the Justice Department said Congress acted to address a national problem, the minimum coverage provisions were constitutional and the lawsuit was premature because no one had been harmed by the law. “They bring this suit four years before the provision they challenge takes effect, demonstrate no current injury, and merely speculate whether the law will harm them once it is in force,” the Justice Department told the court. “Enjoining it would thwart this reform and reignite the crisis that the elected branches of government acted to forestall,” the administration said in a 46-page brief made available in Washington. Several states have also filed lawsuits in Florida and Virginia challenging the law. A lawyer for the Thomas More Law Center said he was not concerned by the issues raised by the administration. “There were no surprises and we’re prepared to respond to every argument they raise,” said Robert Muise, senior trial counsel. The Justice Department said that Congress did not exceed its authority. It said those who did not want to buy insurance may qualify for an exemption from any penalty and that U.S. law prohibits lawsuits aimed at blocking the collection of taxes. WASHINGTON—A $5 billion federal program to partially reimburse private and public employers for retirees’ health care costs is about to begin, but employers who don’t act on the offer quickly may come away empty-handed. The Early Retiree Reinsurance Program, which is part of the federal health care reform law, will reimburse employers for a portion of health care claims incurred by retirees who are at least age 55 but not eligible for Medicare as well as retirees’ covered dependents, regardless of age. The reimbursement, following a plan sponsor’s application and filing of claims information, will kick in after a participant in an early retiree plan incurs $15,000 in health care claims in a plan year. After that, the government will reimburse plan sponsors for 80% of a participant’s claims up to $90,000 during a plan year. Reimbursement will apply for claims incurred starting on June 1. The $5 billion fund is intended to reimburse employers for claims through the end of 2013, when the program expires. But experts say the money is likely to run out long before the Dec. 31, 2013, expiration date. “How long will the funds last? That’s a great question. No one has a firm answer,” said Michael Morfe, a senior vp with Aon Consulting in Somerset, N.J. While no one can predict how long the federal funds will last, some benefit experts say they could be exhausted in as little as 18 months. And under rules published last week by the Department of Health and Human Services, the agency that will administer the program, the program could close even before some employers get their applications in. Under the HHS rules, employers will be required to project reimbursement amounts during a two-year period. HHS will use those projections to determine “if and when we should stop accepting funding applications,” the agency said in the rules. “It is very much first come, first serve,” said Dave Osterndorf, chief health actuary at Towers Watson & Co. in Milwaukee. “There is a great incentive to file quickly,” said John Grosso, a consultant in the Norwalk, Conn., office of Hewitt Associates Inc. But just filing quickly is no guarantee an employer will receive reimbursement of retiree health care claims. The applications, which have not yet been published, also have to be filled out correctly. If not, the new application would be pushed behind already accepted applications. “You have to be fast and correct,” said Rich Stover, a principal with Buck Consultants L.L.C. in Secaucus, N.J.
“Get in early and be correct, or you will get bounced to the back of the line,” said Andy Anderson, a partner with Morgan, Lewis & Bockius L.L.P. in Chicago. Ultimately, the bulk of the reimbursements may go to a small number of sponsors with very large plans, Mr. Stover said. The design of some early retiree health care plans—and the rules attached to the federal program—may result in some employers not even trying to get reimbursed. Under the HHS rules, employers must maintain “the level of effort in contributing to support” the plans. The rules don’t specify how long this maintenance of effort must be applied. In addition, employers must apply the reimbursement to reduce their own costs, the costs of plan participants or a combination of the two. An employer could not simply pocket the reimbursement, said Fran Bruno, a consultant with Mercer L.L.C. in Washington. Many employers have plan designs in which they cap how much they will spend annually on coverage for early retiree health care plan participants, with cost increases absorbed by participants. In that type of design, any reimbursement would have to go exclusively to reduce plan participants’ costs. That could result in some employers deciding against seeking reimbursement, as they won’t derive any economic benefit, some experts say. Still, the economic benefits for some employers and their early retirees could be considerable. Buck Consultants, for example, estimates that between 10% and 20% of early retiree health care plan participants would pierce the $15,000 claims threshold, setting the stage for 80% reimbursement of claims above that amount. SEATTLE, May 11, 2010 (UPI via COMTEX) — The cost of healthcare for a U.S. family of four is $18,074, an increase of $1,303 from last year — the highest ever, a consulting firm says. The Milliman Medical Index, created by Milliman Inc., an independent actuarial and consulting firm based in Seattle, tracks the changes in average annual healthcare costs for a U.S. family of four among 14 metropolitan areas covered by an employer-paid preferred provider organization. “The cost of group insurance continues to increase at a historically-consistent pace, even with reform now the law of the land,” study co-author Lorraine Mayne, Milliman principal and consulting actuary, says in a statement. The healthcare cost for the family of four is calculated by the number, type and cost of healthcare services and how much the employee’s health plan pays the medical providers for the services. The medical costs range from more than $20,000 in New York, Miami and Chicago to $16,071 in Phoenix, the study said. The complete Milliman Medical Index is at www.milliman.com. Editor’s Note: Our health care financial system is broken. Why have consumers allowed that to happen? Can government intervention lower health care costs for all of us? What is it that the government can do to keep health care costs affordable that private industry cant do? Why are health care costs in other advanced countries at least half the price of health care costs in our country? Consumer advocates concerned about the drug industry and health care fraud were given a rare treat two weeks ago — a jury trial highlighting the fraudulent drug promotions by the nation’s largest drug maker Pfizer. Even better, the jury awarded $142 Million in actual and trebled damages. The successful trial and jury verdict on behalf of California-based insurer Kaiser Foundation Health Plan marks a significant victory for insurers and consumers, as well as a stark warning to drug makers who engage in illegal or fraudulent promotion of drugs. Kaiser, the first insurer to try a Neurontin case against Pfizer, the world’s biggest drug maker, claimed it was forced to pay $90 million more than it should have for Neurontin. After deliberating for two days, the jury found that sufficient evidence that New York-based Pfizer violated the both the federal Racketeer Influenced and Corrupt Organizations Act, or RICO, and California’s Unfair Competition Law by promoting four of these five off-label uses. The jury awarded Kaiser $47.36 million in actual damages, which was trebled to $142 under provisions of the federal RICO statute. The jury also noted that the steps that Kaiser had taken to reduce Neurontin use by covered beneficiaries after the fraud was revealed in 2002. This verdict is a rarity in the world of drug litigation, because most cases settle long before they reach a trial or jury. It is important also as the first RICO verdict in a prescription drug case, allowing triple damages. Finally, it sets a very positive precedent for insurers and others to bring future claims against both Pfizer, and other drug companies for fraudulent promotional practices. For instance, Judge Saris previously noted that fraud findings against Pfizer in the case decided yesterday could be binding against it in future trials. While this ruling is good news for Kaiser and some other insurers, a companion class action lawsuit by consumers before the same court continues to face significant challenges. On May 13, 2009, Judge Saris ruled that consumer and insurer classes could not be certified due to various factors related to predominance of individual factors over common facts, and issues relating to proof of causation. Still, a $142 Million verdict for one of thousands of insurers bodes well for future claims. Shining a light on Pfizer’s liability, this verdict illustrates how drug industry fraud and greed adds billions in unnecessary and wasteful spending to our health care costs. The lawsuit itself is an example of how litigation by non-profit insurers and consumers is necessary to confronting this waste in the private sector. For both these reasons, the successful trial merits attention by the public and policy makers, and celebration by consumer advocates. $100,000 in billed charges means the typical PPO allowed is $43,000 while the Cost Plus Discount Equivalent is $13,000. Under the PPO alllowable in the example above, hospital profit margin, according to filed CMS reports are approximately $31,000. Under the Cost-Plus method, the hospital’s estimated profit margin is $1,400. Brownsville Independent School District trustees have agreed to consider having an independent auditor run the numbers on the recently awarded contract for third-party administrator of the district’s self-funded group health insurance plan. Editor’s Note: The BISD health insurance budget is +$40 million. We applaud the BISD in auditing the plan as a prudent business practice long overdue. CALIFORNIA: Legislation that will prohibit cost and quality data gag clauses in hospital contracts passed the Assembly Health Committee (17-0) last week with strong bipartisan support. The measure now heads to the full Assembly for a floor vote. The California Hospital Association remains opposed, and the California Medical Association has raised concerns that the bill needs to include language to make clear the bill does not apply to them. As a result of this vote, the hospital association may step up its opposition. Editor’s Note: If this bill passes, PPO hospital contracts will no longer be secret and confidential in California. Plan payers will finally be able to see what kind of discount arrangement has been made on their behalf. After a lenghty Request for Qualification process, the McAllen ISD is to consider hiring an insurance consultant today at their 5:00 pm Board Meeting. Contenders for the position included the usual list of well known insurance consultants operating within the state. It appears that for a fee of $50,000, the new consultant will provide turn-key services for all lines of coverage. This is a bargain price – will it set a precedent for other school districts to follow? Who Does Your Broker Really Represent? HARTFORD, Conn.—A Connecticut judge has ruled that insurance brokerage Acordia Inc. violated the law when it failed to disclose contingent commissions, a ruling a state official hails as setting precedent on brokers’ fiduciary duties. The Connecticut Superior Court on April 21 ruled in favor of the state and Connecticut Attorney General Richard Blumenthal, stating that Acordia, now a unit of insurance brokerage Wells Fargo Insurance Services Inc., had the fiduciary duty to notify its clients that it received contingent commissions in exchange for placing business with “preferred” insurers. Those preferred insurers included Travelers Cos. Inc., Hartford Financial Services Group Inc., Chubb Group of Insurance Cos., Atlantic Mutual Insurance Co. and RSA Insurance Group P.L.C., authorities said. The court said Chicago-based WFIS should have disclosed accepting contingent commissions from insurers as those commissions are a conflict of interest. Connecticut’s case is the first case to go to trial on the issue of whether an insurance broker owes a fiduciary duty to its clients to disclose contingent commissions, Mr. Blumenthal said in a statement. Connecticut is one of several states that have brought cases against insurance brokers over contingent commissions since 2004. Mr. Blumenthal alleged that Acordia took in nearly $200 million in fees between 2000 and 2005 under an agreement it had with insurers. In January 1999, Acordia initiated the Millennium Agency System Partnership to obtain financial support over a three-year period to offset costs associated with the launch of AMS Segetta, an agency management system to link its offices with its partner insurers on the Web. Mr. Blumenthal alleged that this provided partner insurers an “inside track” for future business with Acordia. Under the partnership, the insurers were offered various ways to help Acordia meet its financial objectives, including paying a 1% commission, the attorney general said. The court did not determine a dollar amount to disgorge, but ordered Wells Fargo to identify and disclose how much it earned from contingent commissions. Wells Fargo purchased Acordia in 2001. Wells Fargo plans to appeal the ruling, a spokeswoman said. Tell us what you think. Log in below to weigh in on this story. You share in the Business Insurance community, so please keep your comments smart and civil; comments that include profanity or personal attacks or other inappropriate comments or material will be removed from the site. Please review the full rules governing the commenting and community tools. Use the “Report Abuse” button to make a difference. VENICE, La.—When cleanup is complete after the blast that sank the Deepwater Horizon oil drilling rig—leaving 11 workers missing and feared dead and a well gushing tens of thousands of gallons of oil a day into the Gulf of Mexico—insurers will have a loss of more than $1 billion, energy market sources say. U.S. Coast Guard crews late last week began experimental burns on portions of the 600-mile oil slick as it drifted toward the Louisiana coast. A well that erupted on the floor of the Gulf of Mexico after the rig began burning April 20 and sank two days later was gushing what the National Oceanic and Atmospheric Administration estimated was 5,000 barrels of oil a day. Burning the crude was one way to keep the oil from reaching Louisiana’s coast, where experts feared significant damage to the seafood-rich region and wildlife, and reduce it to a waxy residue that could be skimmed from the water. Energy market sources say insurance coverage that will respond to claims on the property loss, death and injuries, and environmental damage is spread throughout the London, Bermuda and U.S. markets. The loss already is large enough that it should halt softening energy rates, sources say. “People are talking about $1 billion to $2 billion,” said Simon Williams, head of marine and energy at Hiscox Ltd. in London. “There’s no question it will be $1 billion” and could go higher depending on the size of liability claims that are filed, he said. The loss is almost certain to firm rates in the energy market, particularly because there have been several large losses in the sector during the past 18 months, sources said. If the market doesn’t turn after this, it would be hard to imagine what it would take to convince underwriters to raise rates, Mr. Williams said. The rig’s owner, Transocean Ltd., a Zug, Switzerland-based drilling contractor, said the insured value of the rig is $560 million. In its most recent annual report, the company said deductibles on the loss of any unit in its 139-rig fleet ranged from $500,000 to $1.5 million on coverage written by the commercial market and captive insurers (see related story). Lloyd’s of London is expected to bear a sizeable portion of the property loss and some of the liability claims, sources say. At least one lawsuit already has been filed against Transocean and BP P.L.C., which operated the rig. Allegations in the suit, filed in U.S. District Court in New Orleans by the wife of one of the missing workers, include negligence on the part of Transocean and BP for failing to properly train and supervise crews on the rigs. The April 21 suit seeks an undetermined amount of damages. Transocean said in its 2009 annual report that it carries a $10 million per-occurrence deductible on personal injury liability and a $5 million per-occurrence deductible on other third-party noncrew claims. Transocean also carries $950 million in third-party liability insurance exclusive of personal injury liability deductibles, third-party property liability deductibles and other retention amounts, according to the annual report. The company retains the risk for liability losses above $950 million. The drilling company said it does not carry coverage for loss of revenue unless contractually required. BP CEO Tony Hayward told Reuters Friday that the oil company will compensate anyone with damages from the spill. “We are taking full responsibility for the spill and we will clean it up and, where people can present legitimate claims for damages, we will honor them,” he said. BP self-insures its risks except in cases where regulations require the company to purchase insurance, according to the company’s annual report. Its self-insurance program includes Jupiter Insurance Ltd., a Guernsey-based captive insurer. Anadarko Petroleum Corp. holds a 25% interest in operation of the well, according to the energy market source. Anadarko, based in The Woodlands, Texas, purchased operators extra-expense insurance covering up to $62.5 million in costs the company incurs from the accident and cleanup, the source noted. Transocean’s drilling contract with BP is written so that Transocean is not liable for costs related to seepage and pollution from the well, the source said, but is responsible for pollution that originated from the rig. “There are going to be hundreds of millions in costs” in each of the categories of environmental damages, death and personal injury, and the loss of the rig, said Keith Hall, an attorney who represents energy companies with New Orleans law firm Stone Pigman Walther Wittmann L.L.C. Environmental regulations have been tightened since the 1989 Exxon Valdez spill in Alaska, Mr. Hall noted, which could mean responsible parties in the sinking of the Deepwater Horizon could be assessed significant fines and other costs by the U.S. government. Any oil that reached the U.S. coast could result in “material resources damage,” Mr. Hall said. “The government could put a dollar value on it” or force those found responsible to create new wetlands, he said. The U.S. Coast Guard and U.S. Minerals Management Service were investigating to determine the cause of the explosion and whether criminal or civil offenses were committed. Energy companies will pay more for insurance at their next renewals as a result of the loss, experts agree. “Yes, we consider this event to be a market-changing event concerning energy rates,” said Thomas Artmann, Munich-based product line manager-marine at Munich Re. “Quotations in the last week already showed a trend of increasing prices,” he said in an e-mail. The 32 million people who will become insured under the new health care reform act will place a major strain on the country’s health care system, including in the Tri-State, experts say. Greater Cincinnati has a shortage of 595 primary-care physicians, according to December data from the Cincinnati MD Resource Center, a free physician recruiting service formed by the nonprofit Health Improvement Collaborative of Greater Cincinnati. The area’s 234 primary-care doctors per 100,000 residents compares to an “optimal” number of 261 per 100,000 that U.S. Department of Health and Human Services data would suggest. The American Academy of Family Physicians has warned of an impending national shortage of 40,000 such physicians by 2020. About 140,000 will be needed in all to meet the needs of the aging population, the group has said, but current trends suggest there will be only about 100,000.The U.S. Census Bureau puts the current number of uninsured at 45 million. “People can have all the insurance they want, but if they can’t get in to see anyone, it’s not going to do anyone much good,” Kambelos said. That also prompts another question about the Medicaid system and the flight of providers. If there aren’t enough providers willing to see patients, doesn’t that mean that nothing much has changed for the 32 million about to hit the rolls of the program? The entire purpose of this expansion and massive government intrusion in the health-care system is to get patients out of emergency rooms and into clinics. If patients have to wait months or years to get into a diminishing number of clinics, where will they end up? In emergency rooms. Kambelos doubts the medical home model is the answer to many of the health care system’s problems. He dislikes its focus on “physician extenders” such as nurses and assistants when, in his opinion, getting more doctors into primary care should be the focus. And he doubts that will happen until the government and private insurers commit to significantly closing the gap between reimbursement levels. Kambelos puts his finger more on a symptom of the problem rather than the problem itself. Reimbursement rates aren’t so much the problem as the reimbursement system itself — especially for standard health-care delivery. The third-party payer system interferes with the normal pricing mechanism that allows supply to meet demand and on-time delivery. The more that primary-care business depends on arbitrary reimbursement rates at all, the less likely that doctors will choose to meet that demand, instead selecting other disciplines where their services get compensated more honestly and appropriately. We’re about to make the problem worse by creating an even greater artificial shortage of providers than we currently have. That won’t help the people that ObamaCare purports to serve, and will only make it worse for the rest of us. Early Retiree Defined. “Early retirees” for this purpose generally are participants in an employer-sponsored health plan who are age 55 or older, are not active employees, and are not eligible for Medicare. The term includes the spouse and other dependents of the retiree, regardless of their age and Medicare eligibility. “Dependent” is defined by the terms of the plan, not by the federal tax code. Amount of Reimbursement. For each early retiree, a plan sponsor may receive reimbursement of 80% of the costs both incurred and paid for health benefits exceeding $15,000, but not exceeding $90,000, during the plan year. “Health benefits” is broadly defined in the regulations to include benefits for the “diagnosis, cure, mitigation, or prevention of physical or mental disease” and specifically excludes HIPAA excepted benefits. Costs for this purpose include amounts paid by the early retiree through co-pays, deductibles, etc. and must reflect any negotiated price concessions. “Costs” for an insured plan include actual claims paid, not premium amounts. Programs and Procedures. To qualify for the program, the sponsor’s plan must include programs and procedures that generate (or have the potential to generate) cost savings with respect to participants with chronic and high-cost conditions. (According to the regulations’preamble, these policies and procedures do not need to be newly created for the program). The sponsor must have a written agreement with its plan or insurer to make required disclosures (including disclosures of health information protected by HIPAA), and must maintain policies and procedures to detect and reduce fraud and abuse. Application Process. Before submitting a claim, a plan and its sponsor must be certified by HHS. To become certified, the plan sponsor must submit an application. Detailed application requirements are included in the regulations. Among other things, the plans sponsor must designate the plan years covered by the application and must include the projected reimbursement amounts for each of the first two plan year cycles. Applications will be processed in the order received. If an application does not satisfy all of the requirements, it will be rejected and the plan sponsor will need to submit a new application, which will be processed according to the date it was resubmitted. Use of Reimbursements. The sponsor is required to use the reimbursements to lower its health benefit premiums or costs, to lower costs for plan participants, or any combination of the two. Reimbursements may not be used as general revenue for the plan sponsor, a rule that the preamble interprets as requiring sponsors to maintain their level of plan contributions (for example, according to the preamble, it would be appropriate for a plan sponsor to use the reimbursement to cover its share of premium increases from year to year). Transition Rule. Plan sponsors may submit claims for plan years that begin before June 1, 2010 and end on or after that date. However, costs incurred prior to June 1, 2010 can be used only to satisfy the $15,000 cost threshold. For example, for a 2010 calendar-year plan, costs incurred before June 1 can be used to satisfy the $15,000 threshold, but only costs incurred from June 1 to December 31 may be reimbursed (once the $15,000 threshold is met and up to the $90,000 maximum). Given that funds are limited to $5 billion, plan sponsors who wish to participate would be well advised to get their applications in as early as possible. But because applications that do not satisfy all of the requirements of the regulations will be rejected and placed at the “end of the line” for processing, sponsors should also carefully review the requirements and make sure to satisfy all of them in their initial application. End of Employer Based Health Insurance? In the days after President Obama signed the bill on March 24, a number of companies announced big write downs due to some fiscal changes it ushered in. The legislation eliminated a company’s right to deduct the federal retiree drug-benefit subsidy from their corporate taxes. That reduced projected revenue. As a result, AT&T (T, Fortune 500) and Verizon (VZ, Fortune 500) took well-publicized charges of around $1 billion. The announcements greatly annoyed Representative Henry Waxman, who accused the companies of using the big numbers to exaggerate health care reform’s burden on employers. Waxman, chairman of the House Energy and Commerce Committee, demanded that they turn over their confidential memos, and summoned their top executives for hearings. But Waxman didn’t simply request documents related to the write down issue. He wanted every document the companies created that discussed what the bill would do to their most uncontrollable expense: healthcare costs. Nowhere in the five-page report did the majority staff mention that not one, but all four companies, were weighing the costs and benefits of dropping their coverage. Kenneth Huhn, vice president of labor relations at Deere, said in an internal email that his company should look at the alternatives to providing health benefits, which “would amount to denying coverage and just paying the penalty,” and that he felt he already had the ability to make this change under his company’s labor agreement. Caterpillar felt it would have to give “serious consideration” to the penalty option. It’s these analyses — which show it’s a lot cheaper to “pay” than to “play” — that threaten to overthrow the traditional architecture of health care. Both Caterpillar (CAT, Fortune 500) and Verizon believe the requirement to allow dependents to remain on their parents’ policies until age 26 will prove costly. Caterpillar puts the added expense at $20 million a year. In a statement to Fortune, Verizon said it is not, “considering or even contemplating” the plans laid out in the report, though records show the company did send the report to its board shortly after the reform plan was passed by Congress. Caterpillar and AT&T actually spell out the cost differences: Caterpillar did its estimate in November, when the most likely legislation would have imposed an 8% payroll tax on companies that do not provide coverage. Even with that immense penalty, Caterpillar stated that it could shave $25 million a year, or almost 10% from its bill. Now, because the $2,000 is far lower than 8%, it could reduce its bill by over 70%, by Fortune’s estimate. Caterpillar did not respond to a request for comment. AT&T revealed that it spends $2.4 billion a year on coverage for its almost 300,000 active employees, a number that would fall to $600 million if AT&T stopped providing health care coverage and paid the penalty option instead. AT&T declined comment. So what happens to the employees who get dropped? And why didn’t these big employers drop employee coverage a long time ago? The Congressional Budget Office, in its crucial cost estimates of the bill, projected that company plans will cover more employees ten years from now than today. The reason the bill doesn’t add to the deficit, the CBO states, is that fewer than 25 million Americans will be collecting the subsidies the bill mandates in 2020. Those subsidies are indeed big: families of four earning between $22,000 and $88,000 would pay between 2% and 9.5% of their incomes on premiums; the federal government would pay the rest. So policies for a family making $66,000 would cost them just $5,300 a year with the government picking up the difference: more than $10,000 by most estimates. As bean counters know, that’s not a bad deal for a company’s rank-and-file, and it’s a great deal for the companies themselves. In a competitive labor market, the employers that shed their plans will need to give their employees a big raise, and those raises could be higher, even after taxes, than the premiums the employees will pay in the exchanges. What does it mean for health care reform if the employer-sponsored regime collapses? By Fortune’s reckoning, each person who’s dropped would cost the government an average of around $2,100 after deducting the extra taxes collected on their additional pay. So if 50% of people covered by company plans get dumped, federal health care costs will rise by $160 billion a year in 2016, in addition to the $93 billion in subsidies already forecast by the CBO. Of course, as we’ve seen throughout the health care reform process, it’s impossible to know for certain what the unintended consequences of these actions will be. Carriers Fear Cost Plus – Why? There is no question that health insurance companies rely on secretive agreements with hospitals to establish insurance payment rates. These agreements are well guarded. Attempts to gain access to review these contracts takes perserverence and knowing the right people. But it can be done if one is willing to spend the time and energy necessary to crack the Code of Silence. So why are carriers reacting as they are to the growing phenonemon of cost-plus health plans that pay hospitals their cost as reported to CMS plus a 12% profit margin? Carriers, it seems, are at their wits ends in fighting this “corrupt” method of paying hospitals. Career sales representatives for various health insurance carriers are seemingly beyond psychiatric redemption in contolling their uncommon angst and desperation in losing business to the cost-plus bandwagon in Texas. It now appears that some carriers are joining with hospitals to fight the cost-plus plague. One would wonder why that is. Dont health insurance companies want to offer the lowest cost health care to their customers that are paying them millions of dollars? After all, who do these carriers represent; their loyal premium paying customers or profit driven hospitals? Do secretive managed care contracts have anything to do with this? We have reviewed various carrier contracts with hospitals over the past year. We know what is in them. Do you? Rising costs have made it difficult for employers to provide quality, affordable health insurance for workers and retirees while also remaining competitive in the global marketplace. Many Americans who retire without employer-sponsored insurance and before they are eligible for Medicare see their life savings disappear because of exorbitant rates in the individual market. The Early Retiree Reinsurance Program will provide much-needed financial relief for employers so retirees can get quality, affordable insurance starting this year. The percentage of large firms providing workers with retiree coverage has dropped from 66 percent in 1988 to 31 percent in 2008. The Affordable Care Act provides $5 billion in financial assistance to employers to help them maintain coverage for early retirees age 55 and older who are not yet eligible for Medicare. Employers can use the savings to either reduce their own health care costs, provide premium relief to their workers and families or a combination of both. This temporary program will make it easier for employers to provide coverage to early retirees. Employers who are accepted into the program will receive reinsurance reimbursement for medical claims for retirees age 55 and older who are not eligible for Medicare, and their spouses, surviving spouses, and dependents. Health benefits that qualify for relief include medical, surgical, hospital, prescription drug, and other benefits that may be specified by the Secretary of Health and Human Services, as well as coverage for mental health services. The amount of this reimbursement to the employer plan is up to 80% of claims costs for health benefits between $15,000 and $90,000. Claims incurred between the start of the plan year (often January 1) and June 1st are credited towards toward the $15,000 threshold for reimbursement. However, only medical expenses incurred after June 1, 2010 are eligible for reimbursement under this program. For example: If an individual incurs costs of $30,000 between the start of the plan year and June 1, and $40,000 after that date. The amount which may be reimbursed is $40,000 – the costs above the $15,000 threshold that occur after June 1. If a plan incurs $90,000 or more in expenses before June 1, it is treated as having met the $15,000 threshold and is eligible for reimbursement for costs incurred after June 1. These limits apply and claims are filed for individual’s costs. Firms cannot add two or more individuals together to attain the threshold. Both self-funded and insured plans can apply, including plans sponsored by private entities, state and local governments, nonprofits, religious entities, unions, and other employers. HHS will begin the Early Retiree Program on June 1, 2010, in advance of the June 21 start date required by the Affordable Care Act, allowing more claims to qualify for reinsurance payments for plans this year. Eligible employers can apply for the program through the Department of Health and Human Services. Applications will be available by the end of June. To receive assistance, plans must have their applications approved, document claims, and implement programs and procedures that have or have the potential to generate cost savings for participants with chronic and high-cost conditions. Plans will be subject to audits to assure fiscal integrity. The Early Retiree Reinsurance Program will assist these employer plans and individuals with the cost of health care coverage and health care. The program ends on January 1, 2014 when early retirees will be able to choose from the additional coverage options that will be available in the health insurance exchanges. The U.S. Department of Health and Human Services today issued regulations establishing the Early Retiree Reinsurance Program in the Affordable Care Act. This temporary program will make it easier for employers to provide coverage to early retirees. You can find more information about this important new program by going to their website at www.hhs.gov. The Affordable Care Act includes $5 billion in financial assistance to employers to help them maintain coverage for early retirees age 55 and older who are not yet eligible for Medicare. The program will end in 2014, when Americans will be able to choose from additional coverage options through the health insurance exchanges. Eligible employers can apply for the program through the Department of Health and Human Services. Applications will be available by the end of June. Both self-funded and insured plans can apply, including plans sponsored by private entities, state and local governments, nonprofits, religious entities, unions, and other employers. The Interim final regulations with comment period were released in the Federal Regulations Vol. 75, No. 86, pg. 24450, May 5, 2010. Please find them attached. McALLEN — Her sentencing date is nearly two months away. But the wrangling over how much time — if any — former Hidalgo County Commissioner Sylvia Handy should spend in prison has already begun. The federal government continues to maintain that she concocted an elaborate scheme to avoid paying for housekeeping and babysitting services between 2001 and 2007 by putting her undocumented domestic help on the county payroll. But in court filings last week, Handy’s defense shot down prosecutors’ descriptions of these so-called “ghost” government employees who never did any actual work for the county. The commissioner never knew most of the women working in her home were in the country illegally, wasn’t aware they lied about their legal status to land county jobs and made no money off of their illegal employment, her attorney Al Alvarez wrote in an April 26 filing. The dispute sets up an argument over what exactly Handy did and didn’t know and how much it hurt county taxpayers. The outcome of that fight could land her in prison for up to 10 years or let her off without spending a day behind bars. Handy, 52, pleaded guilty to one count each of tax evasion and conspiracy to harbor an illegal immigrant in March. But in entering her plea, she kept her admissions of guilt to a minimum. The unusually detailed 65-page indictment in the case accused the four-term commissioner of putting the undocumented women who worked in her home on the payroll of her Precinct 1 office so that she wouldn’t have to pay them out of her own pocket. To cover up her scheme she provided the women with fraudulent identification documents, conducted sham interviews and claimed credits on her federal tax returns suggesting that she was paying the women for their domestic work herself, prosecutors allege. While the counts to which Handy pleaded only involved one of those illegal workers, she maintained during her re-arraignment hearing that both violations of the law were unintentional. She claimed the child care tax credit under a false name not to hide the fact that her babysitter was an undocumented immigrant but because she had forgotten to change the name on her tax forms from that of a previous woman she paid to watch her children, she said. As for immigrant harboring, Handy wasn’t aware of the worker’s lack of legal status when she helped her get a county job. And despite being here illegally, the woman dutifully performed the tasks of a precinct maintenance worker during the time of her employment, her attorney maintained. U.S. District Judge Ricardo Hinojosa balked at these heavily qualified admissions during the March 8 hearing and warned the now-former commissioner to come to her sentencing prepared to accept full responsibility. Sentences in the federal system are determined after the government prepares an advisory recommendation to the judge and defense lawyers have had a chance to object to prosecutors’ interpretation of the facts. While a defendant may plead guilty to only specific counts, federal judges are given broad leeway to consider other related criminal conduct when settling on a final sentence. So while Handy’s attorney carefully selected the tax evasion and conspiracy counts to which she eventually pleaded, many of the government’s extraneous allegations against her could come into play in Hinojosa’s decision. >> and accusations that the women never did any work for the county, bilking taxpayers out of more than $200,000 in salary and retirement benefits. Alvarez insists that each of them did actually perform the duties that came with their county jobs. “There were no financial losses to Hidalgo County when an employee did the work, even though they had a false identity,” he wrote. But as her June 23 sentencing date approaches, Handy herself seems to be attempting to hedge those bets — standing by her relative innocence through her attorney, yet attempting the show the judge’s she’s ready for whatever he hands down. Handy’s sentencing is scheduled for June 23. Jeremy Roebuck covers courts and general assignments for The Monitor. Editor’s Note: This is the second convicted felon who has told Federal Judge Ricardo Hinojosa that they are only half guilty, half pregnant. (The other felon is Arnulfo Olivarez, insurance felon convicted of bribery). What is the Judge to do? He must feel tremendous anxiety in having to pass judgment on such complicated cases. What would Solomon do? To ensure delivery to your inbox, add admin@list.freeerisa.com to your address book. Not subscribed? Subscribe and get the FreeERISA Daily in your inbox! Shares of the following companies made noteworthy moves in the U.S. stock market on Tuesday: […]. You are subscribed as: riskmanager@sbcglobal.netIf you do not wish to continue receiving the FreeERISA Daily, please unsubscribe. If you are not subscribed to the FreeERISA Daily and would like to, please subscribe. © 2010 Judy Diamond Associates, Inc. All Rights Reserved. CLARIFYING REFORM’S IMPACT TO DENTAL BENEFITSSince the Patient Protection and Affordable Care Act was signed into law, those throughout the health care system, as well as the media, have been primarily focused on the near-term impact that reform will have on individual and group medical benefits. What hasn’t received as much coverage is how dental benefits will ultimately be impacted by the new reform law. Although the impact of reform is not as great to dental as it is for medical, and there does not appear to be an immediate impact to dental coverage, it is important to note that the new reform law will indeed affect dental benefits. There may be some confusion right now as to what provisions may or may not apply to dental benefits, so we’ve included a quick synopsis to help provide some clarity. Which provisions do not impact dental? Which provisions will impact dental? For the most up-to-date information on reform, we encourage you to visit America’s Health Insurance Plans at www.ahip.org or the National Association of Health Underwriters (NAHU) at www.nahu.org. The U.S. Department of Justice won’t stand in the way of a long-delayed project aimed at shining more light on California’s rising hospital costs. That means CalPERS and some of the state’s largest health care purchasers can proceed with plans to launch an extensive study scrutinizing the cost of providing care at more than 300 hospitals statewide. The California Hospital Association had attempted to block the project, saying it violated federal antitrust laws by potentially releasing proprietary data that could hinder competition within the health care industry. On Monday, the Justice Department sided with CalPERS, the Pacific Business Group on Health and the California Health Care Coalition, the entities planning to underwrite the Hospital Value Initiative. CalPERS is the country’s second-largest buyer of health care services, spending more than $5.7 billion last year on health benefits for 1.3 million state and local government employees, retirees and their families. Emerson said the project’s focus on cost was too narrow and said the quality of care should also be taken into account. Because of the antitrust concerns, the initiative had been in limbo since 2007, pending government review. In recent years, soaring hospital costs have been under scrutiny by CalPERS and the state’s largest companies. In 2006, CalPERS joined the Pacific Business Group in commissioning a study that showed the wide variations in hospital costs across the state. “The overall goal was to help consumers and purchasers understand which hospitals in California are affordable,” said David Lansky, the president and CEO of the Pacific Business Group. The group includes some of the state’s largest employers, including Chevron, Safeway, Wells Fargo and Walt Disney Co. Earlier this month, The Bee used the same methodology to produce a special report that showed private insurers paying substantial negotiated “markups” for hospital care – sometimes more than double what it costs hospitals to provide those services. CalPERS and its partners plan to look at insurance claims data to figure what out it costs each hospital to provide a specific service. The resulting comparisons could be instructive for companies and consumers looking to rein in medical expenses, Lansky said. In announcing its decision, the Department of Justice said the project “was not likely to produce anticompetitive effects,” as argued by the California Hospital Association. But the government said it reserved the right to challenge the proposal at a later time if it hinders competition. In its decision, the Justice Department noted that the data included in the information exchange would be at least 10 months old and would not disclose specific pricing data. Changes to our industry are underway. The IHC Group has always been active on your behalf in Washington, D.C. Now we are asking for your help to ensure all of our voices are heard. Please read Janet Trautwein’s letter below, and contact your congressmen today. Encourage them to say “no” to the Health Insurance Rate Authority Act of 2010, which will allow the federal government to establish limits on premium increases. This legislation coupled with the Patient Protection and Affordable Care Act’s minimum medical loss ratio discussed in The Flame last week, could impact the way you do business. This is your opportunity to help shape the future of your industry, ensure your customers have access to professional agents that can help them navigate the health insurance system, and cement your role as a someone who provides a valuable service. I strongly encourage you to take action today. If you have any questions or comments about this act or the minimum medical loss ratio, please call me. I look forward to seeing our fellow NAHU members at the 2010 Annual Convention and Exhibition in Chicago June 27–30. Admitted felon and still active insurance agent Arnulfo C. Olivarez has had his sentencing postponed again. Sentencing is now set for August 27 at 9:30 am in federal court, McAllen, Texas. Olivarez plead guilty to paying bribes in exchange for lucrative insurance contracts at the Pharr San Juan Alamo Independent School District. Similar charges involving other polical subdivisions were dropped in lieu of Olivarez’s guilty plea. Aaron Gonzalez, former member of the Edcouch Elsa Independent School District Board of Trustees, and former insurance agent, has had his sentencing re-set for July 23. For more information on the Olivarez case, type in “Olivarez” in the search box on this blog. If regulators do not come up with a realistic medical loss ratio rule transition plan for individual heath insurance, insurers may start to abandon the market in June.Rowen Bell, chair of the medical loss ratio regulation work group at the American Academy of Actuaries, Washington, issued that warning in a letter sent to officials at the National Association of Insurance Commissioners, Kansas City, Mo. The Accident and Health Working Group at the NAIC has posted the letter in a collection of background materials on efforts to implement the minimum medical loss ratio provision in the new federal Affordable Care Act. ACA is the legislative package that includes the Patient Protection and Affordable Care Act and the Health Care and Education Reconciliation Act. The ACA will require providers of individual health insurance to spend at least 80% of premium revenue on paying insureds’ medical claims. Bell, who is now an actuary at an independent accounting firm and who once worked for the Blue Cross and Blue Shield Association, Chicago, has written to recommend that regulators work quickly to come up with transition rules. “Some carriers may seek to exit the individual market out of concern about the impact that rebate requirements in 2011 may have on their existing book of business and potentially on their solvency,” Bell writes in the letter. To get out of the individual market by Jan. 1, 2011, an insurer may have to announce its intent to withdraw by June, to give insureds a 6-month warning, Bell writes. “Consequently, any transitional alternatives will be more effective, in terms of minimizing potential individual market disruption, if they are announced in the next several weeks,” Bell writes. In theory, insurers could reduce administrative costs and other non-claims costs to meet the 80% medical loss ratio requirement. In the real world, insurers may have a hard time cutting non-claims costs that much that quickly, and they may prefer to leave the individual market, Bell writes. The NAIC working group also has posted a copy of a comment letter that Jeffrey Smedsrud, a senior vice president at Independence Holding Company (NYSE: IHC), sent to U.S. Health and Human Services Secretary Kathleen Sebelius. Small carriers account for about 15% of the health coverage market, Smedsrud writes. One small insurer dropped out of the market last week, and “more will follow unless you take action,” Smedsrud writes. Because small health insurers tend to charge less than large carriers do for comparable coverage, and because small health insurers tend to have relatively high marketing costs, they have administrative costs that tend to be about 5 percentage points higher than the administrative costs at larger carriers, Smedsrud writes. One solution might be to set lower minimum medical loss ratios for insurers with a small market share, or for insurers that sell high-deductible plans or other low-cost plans, Smedsrud writes. “Another possible solution is to allow a portion of the agent commission to be a service fee,” Smedsrud writes. As you know, the federal health care reform law is both lengthy and complicated. Our staff is working closely with industry leaders and officials to ensure that we have the very best information so that we can implement appropriate changes to our business practices and/or plans as required by the new laws. Complicating issues is the reality that the regulations, which provide the official definitional and legal guidance for compliance, are not yet completed. Over the next few months as the regulations are drafted, obligations for insurance companies, third party administrators, and employers will become clearer. Therefore, information provided by any source about health care reform obligations is provided with the caveat that health care reform remains a work in progress and will for many months. Internally, we have a task force working to ensure a smooth transition once the requirements are defined. The following is a brief overview of known health care reform obligations compiled by Willis Legal & Research Group. Where applicable we will be providing compliance information on these requirements as their effective dates approach. Not all requirements apply to all plans or all employers. Date of enactment. Plans in effect on this date are “grandfathered plans,” which get some exemptions from compliance. Availability of reimbursement for large claims under early retiree coverage. Group health plans – including, for most items, self-funded plans – start becoming subject to “insurance” reforms (see items listed for January 1, 2011) as of the dates their plan years begin. THIS MAY BE EARLIER THAN JANUARY 1, 2011. Annual dollar limits on essential benefits prohibited (subject to exceptions defined by HHS). Rescissions prohibited except in cases of fraud or intentional misrepresentation. Preexisting condition exclusions prohibited for children under age 19. Coverage for dependent children, “adult children,” must remain available until age 26 (i.e. through age 25) (until 2014, grandfathered plans may exclude children who are eligible for other employment-based coverage). Benefits provided to children under age 27 (i.e. through age 26) are nontaxable regardless of dependent status. Insured plans become subject to nondiscrimination rules that currently apply only to self-funded plans (grandfathered plans exempt). Internal and external appeals procedures must be implemented (grandfathered plans exempt). Health insurers must report medical loss ratios to HHS and provide rebates to enrollees if medical loss ratio is less than 85% (80% for small groups). Unless prescribed by a provider, over-the-counter medications are not qualifying medical expenses for purposes of health flexible spending accounts (FSAs), health reimbursement arrangements and health savings accounts (HSAs). Employers with fewer than 25 employees may qualify for a tax credit if they provide health insurance. Qualifying small employers may establish “simple cafeteria plans”. Deadline for HHS to establish standards for uniform explanations of coverage, a 4 page document. W-2s issued for 2011 earnings must report value of health coverage. Deadline for group health plans to provide uniform explanations of coverage. Group health plans must notify enrollees of material changes no less than 60 days before effective date. Deadline for HHS to develop standards for annual reports to enrollees and HHS on plan benefits that improve health. For policy years ending after this date, a fee of $1 times the average number of covered lives is required for both insured and self-funded coverage. For policy years ending after this date, the fee noted at September 30, 2012 increases to $2 times the average number of covered lives. Annual salary reduction contributions to a health FSA may not exceed $2,500. Subsidy for employers that provide certain retirees with coverage equivalent to Medicare Part D is no longer deductible 1.45% Medicare payroll tax increases to 2.35% on wages over $200,000 ($250,000 for joint return filers). Employers with 50 or more full-time employees may incur “free rider” penalties if they offer no coverage or coverage that is unaffordable or insufficient. Employers must offer free choice vouchers to certain employees. Individuals who do not have qualifying coverage must pay an excise tax (coverage under any grandfathered plan satisfies requirement). Plans must report coverage information to enrollees and the IRS. Group health plans – including, for most items, self-funded plans – become subject to additional “insurance” reforms when their 2014 plan year begins. Preexisting condition exclusions prohibited for all enrollees. All annual dollar limits on essential benefits prohibited. Grandfathered plans lose the ability to deny coverage to employees’ children who are under age 26 based on eligibility for other employment based coverage. Plans must cover routine patient costs for care in connection with clinical trials (grandfathered plans exempt). Discrimination against providers prohibited as long as they act within the scope of their licenses (grandfathered plans exempt). Out-of-pocket maximum can be no greater than that allowed for a high deductible health plan offered in connection with a health savings account (grandfathered Deductibles can be no greater than $2,000 for single coverage and $4,000 for family coverage (grandfathered plans exempt). Wellness incentives up to 30% of individual COBRA rate permitted (federal agencies may allow additional increases up to 50%). Employers with 200 or more full-time employees become subject to automatic enrollment requirements. Employers become subject to notification requirements regarding insurance exchanges and subsidies. State health insurance exchanges begin operation for individuals and small employers. Employers that offer coverage through an exchange may permit pre-tax contributions through their cafeteria plans. State health insurance exchanges must be available for employers with up to 100 employees. States may allow employers of any size to access coverage through health insurance exchange. Excise tax applies to high-cost coverage. Fee noted at September 30, 2012 and September 30, 2013 sunsets. Not every employer-related provision with an early effective date is listed here, nor does the list include any provisions that may indirectly affect employers through their effect on health care providers and the health care delivery system. Attend this Webinar to help your customers make informed decisions when choosing a PBM. Last year, we took a close look at common pricing strategies PBMs use when they respond to your RFPs. Some of these strategies merely enhance the perceived value of the financial quote, while others siphon value from both members and plans. The goal of this update is to bring you important new information so you’ll understand our approach to business and our financial offer for you and your clients. Changes in Humana Pharmacy Solutions’ pricing approach. Q&A and discussion on PBM strategies. The latest updates for you and your clients. Use this link to register now and after the event you will receive an e-mail with the complimentary presentation content. Group & Pension Administrators Inc. (GPA), a Texas based third party administrator, is enjoying rapid growth through marketing their unique Cost-Plus health insurance program. Plan savings for participating employers average 40% or more. GPA has caught the attention of employers, agents and competing insurance carriers, as well as the health care community. The GPA message is simple; providers should be paid their cost plus a fair and reasonable profit, rather than paid a discount off inflated and arbitrary charges that have no relationship to cost. New clients include high profile accounts in major metropolitan areas of Texas. A large medical provider in Bexar County, for example, recently partnered with GPA to provide cost-plus benefits for their own employees. We expect GPA will continue to enjoy rapid and sustained growth as there appears to be no competition in the cost-plus arena. Competing carriers and TPA’s seem committed to continued reliance of PPO networks and other managed care contracts rather than adoptng the GPA Out-of-the-Box approach to reigning in health care costs. At GPA, we embrace our whole healthcare community with unflinching standards and a time-tested commitment. For 40 years, we have offered a uniquely customized approach to benefit planning for employers and brokers who want solutions to today’s most-pressing healthcare challenges. All while providing the highest-quality information, resources and service to employees and providers. If you demand the healthiest employees – and the “healthiest” bottom line, demand GPA. This quarterly online newsletter provides current industry news and an in depth look at GPA offereings. View now. Learn about changes to the Mental Health Parity Act and the innovative care options available for your health plan. Listen now. Whether you’re an employer, employee or a broker, login here to access timely information, resources and reports. © 2010 Group & Pension Administrators, Inc.
– Switched from a TPA who had the case 5 years, managed claims and opened on-site medical clinic with addition savings to the employer, no increase in funding for the past three years, a pass on renewal, but switched to a new TPA/Carrier because their aggregate attachment factor was lower by over $3 million. The group was advised by their “expert” consultant that they would “save $3 million” by moving to the company offering the lowest aggregate factor. Those of us in this industry are all at fault for these poor decisions. We have missed opportunities to educate employers as to the truth regarding our industry. Instead, employers have relied on con artists who have been trained to take advantage of their ignorance. We must begin the process of educating our clients and prospective clients now, so that they are well armed to make good and prudent business decisions in the future. This is accomplished by telling them the secrets we dont want them to know about. Decisions based on facts are always the right decisions. Decisions based on deception continue to demean our industry. HARLINGEN — One of two insurance agents charged with defrauding Valley Baptist Health System last year was found guilty Friday on three counts of fraud while the other was acquitted of all charges, according to court records. A federal court jury in Houston found Michael N. Swetnam Jr., of Los Fresnos, guilty of three counts of mail fraud, not guilty on one count of conspiracy and not guilty on five other fraud charges, according to court records. Brent Carter, of Harlingen, was found not guilty on all nine counts against him, according to the records. A grand jury in June 2009 charged Swetnam and Carter with selling Valley Baptist $4 million in fraudulent hurricane insurance. Attorneys for Carter, 46 at the time of the charges, argued that their client acted in good faith, meaning he did not knowingly conspire to break the law, nor did he participate in any criminal acts, according to court documents. “It’s a pretty scary thing when you tangle with the federal government,” Mitchell Chaney, a Brownsville attorney representing Carter, said. Baptist attorney Chris Hanslik said. The indictment alleged that Swetnam exchanged money with Carter as part of a deal with Valley Baptist. Prosecutors alleged that Swetnam and Carter met with Valley Baptist officials in Nuevo Progreso, Mexico, in 2006. There, prosecutor said, the two Brownsville insurance agents presented the hospital with an insurance policy covering wind damage. The indictment alleged Swetnam sent several invoices and documents pertaining to fraudulent insurance premiums through the U.S. mail. Attorneys involved in the civil case between Valley Baptist and Swetnam and Carter will meet in Brownsville in June, Hanslik said. Friday, April 30, 2010 at 6:43 p.m.
A nine-day trial for a fraud case involving the Valley Baptist Health System ended with a jury convicting an insurance broker and finding another innocent. Both Brent Carter and Mike Swetnam have been on trial before U.S. District Court Judge Keith P. Ellison in Houston since last Monday. The two men were accused of selling bogus insurance policies to the Valley Baptist Health System to the tune of $2.38 million dollars from August 2006 to April 2008. Carter and Swetnam were charged with one count of conspiracy, five counts of mail fraud and three counts of wire fraud. Closing arguments were heard on the case on Thursday. A jury came back with their verdict on Friday. The jury found Carter not guilty on all counts of the indictment but found Swetnam guilty on three counts of mail fraud. Judge Ellison ordered sentencing for Swetnam for the morning of Wednesday, August 4th.